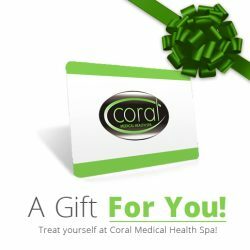 At Coral Medical Health Spa in Windsor, Ontario we are proud to call ourselves the top medical cosmetic facility in Windsor and Essex County. You can expect to find the most up-to-date and finest cosmetic services available including the brand new Latisse Eyelash Enhancement System. Dr. Zoia Sherman M.D is certified in the latest in non-surgical minor cosmetic procedures including, BOTOX Cosmetic, Juvederm Filler Treatments, including Voluma, Ultra, Volbella and Volift, Teosyal Filler Treatments, including Global Action, Kiss, Redensity 1 & 2, and Ultimate, Teosyal Auto-Injector Pen, Cannula, The Botox/Juvederm Softlift System, and Mole and Skin Tag Removal. Dr Zoia Sherman and her team are experienced and certified in Intense Pulse Light and Laser Techniques such as, Laser Hair Removal, IPL Hair Removal, IPL Rosacea Treatments (Photorejuvenation), Laser Sun Damage Treatments (Hyperpigmentation), IPL Sun Damage Treatments (Hyperpigmentation), Laser Spider Vein Removal, Acne Treatments, Laser Tattoo Removal, Laser Peels, Laser Birthmark and Mole Removal. Coral’s Medical Esthetics Team is also certified and trained in Dermasweep MD Microdermabrasion, Vivier Chemical Peels and LED Teeth Whitening. The team at Coral is here to treat their clients with the highest level of service and care. Before each treatment, the client goes through a thorough complementary consultation with the doctor to determine their individual needs, and a treatment plan is then devised based on those needs between the doctor and the client. Each treatment plan is created with the client’s needs and specific budget in-mind, therefore producing the greatest amount of value per dollar spent. After each treatment, the client is automatically scheduled for a complementary follow-up consultation with the doctor, to ensure complete satisfaction with the treatment(s) provided. If any issues arise, the Coral team will do everything in their power to make the client completely satisfied.